Generally, new customers will discover a baking business online through a Google search or, at the very least, will have been given a name by a friend and will look it up on Facebook. This is your biggest change to make a lasting first impression and can convert a curious potential buyer into a paying customer - so don’t mess it up! 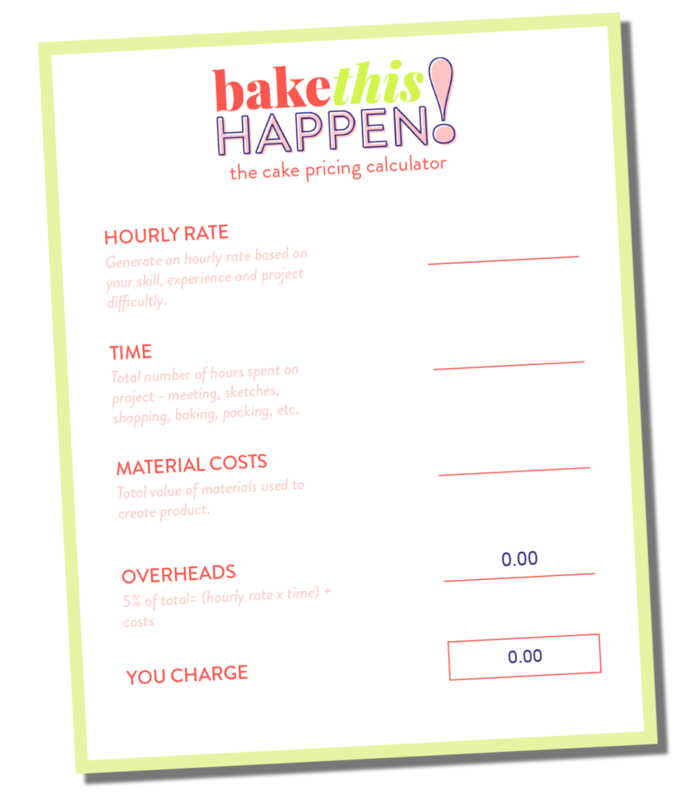 To give off the most professional impression a full website is ideal, but as everyone is so active on and familiar with Facebook, if you are new to the baking business world then it is not going to hamper your ability to get new orders. I have written about the importance of having a website here, and what you should include on that site here, so I won’t elaborate much more. The most important factor is to always keep your brand message in mind. So, on your Facebook page, don’t start posting random snaps from your phone, be sure to post consistent and beautiful pictures of your cakes. Seeing a regular stream of photos on your page will show how in demand you are and gives a great snapshot of your work. Be aware of the language you are using on all forms of social media. Don’t type using slang or shorthand, always assume it’s going to be read by the most important client that you are desperate to impress. A friendly but professional tone is perfect but you know the type of customer you want to attract and the ethos of your business, so whatever tone you do set, the most important part is being consistent. Using the same logo icon on all forms of social media will also help you to become recognisable by customers. If you have a picture of a cake on FB, your face on Twitter and your logo on Instagram, then people will always be unsure that they’ve got the right page. If you always use the same photo or the same logo icon, then you will be unmistakable. Similarly to the above, keeping your brand focus throughout all of your correspondence with clients is really key if you want to be taken seriously as a pro in your field. This involves the language used, the format it takes and the reliability. Personally, I encouraged all correspondance to come through my emails, as it allowed me to keep track of everything and avoided orders being missed or forgotten. If an initial enquiry is made through FB messenger, use a polite stock reply and ask them to send the request to your email, or to give you a call to discuss. This is also a helpful method of making sure you only get serious order enquries but I will go into more detail about that in a future post. Have an auto responder set with a simple message thanking the customer for their enquiry and giving them a timeframe for how long a reply will take. This will avoid anyone thinking you are ignoring them and will further reinforce their confidence in you when you do, in fact, respond within the time frame. Use an e-mail signature in your brand colours and include all of your contact information, but keep the actual email text very plain and readable, as anything else can be frustrating to read and appear unprofessional. Make up template receipts, invoices, order forms, etc that all follow a similar format and include your logo and follow your branding. Always keep a few business cards with you at all times, much easier than jotting down your details for any potential new customers you meet and they will be very impressed with your business savvy. I didn’t often meet cake customers face to face until they collected the cake, or I delivered it to their door, as mainly took celebration cake orders, but if you focus mainly on wedding orders, meeting customers will be much more commonplace. Don’t let this aspect worry you, you don’t have to be a brick and mortar business with your own shop to create a professional experience for your customers, whether it be at point of collection, or for the meeting. If your customers are collecting orders from you, make sure the space they will enter is clean, tidy and inviting. The smell of freshly baked cakes is ideal but if that’s not possible, open a window and make sure the space smells fresh. If appliciable, have your receipt book or a collection of change available to make payment quick and easy. Have the cake ready and by the door, if possible, so the customer knows you are ready and waiting for them. Be well turned out - not fancy, or dressy, or anything other than your personal style...just be a neat and tidy version! Invite your wedding customers to your kitchen if there is space to sit and talk, and taste cake samples. It will help them see your 'creation space' and make you feel more comfortable in your familiar surroundings. Don't panic if you don't have space or if you don't think your house/flat is suitable for potential customers. Life can definitely get in the way when baking is a side business so it's not a problem at all and won't put people off. A quiet local cafe, meeting room or lobby in a hotel are all great easy places to meet with customers. Go the extra mile with your packaging to make the experience a treat for the customers and something that will always stick in their mind. Whether it be cute ribbon around the box, labels, or stickers with your logo on it, do something that will make your cake boxes stand out in the customer's mind. Also think about what the cake is going to be used for, for example, if it’s a birthday cake why not include some candles in the box. It will such a great surprise for the person who has ordered the cake, as you know how easy it is to only realise at the last minute that you’re forgotten candles! I hope the ideas here help spark your imagination about ways you can elevate the public face of your cake business and become a business that your customers return to again and again!